SIZE : 6.5 X 1.5 X 1.5CM WEIGHT: 22G WITH BATTERIES 2-LED LASER POINTER KEYCHAIN FLASHLIGHT. LASER OUTPUT: LASER WAVELENGTH: AROUND 650NM. 2 BUTTONS TO CONTROL THE LASER BEAM AND LEDS POWERFUL RED LASER POINTER WHICH CAN BE SEEN OVER A MILE. 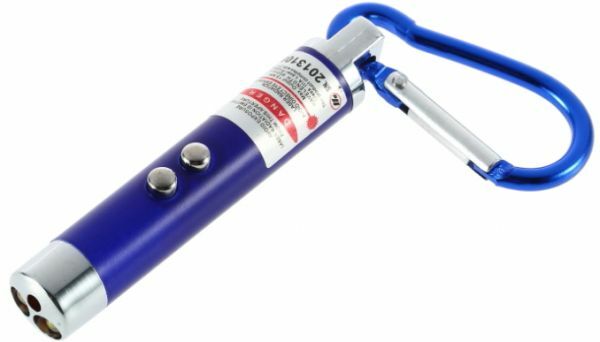 MINI AND LIGHT WEIGHT, GREAT FOR EMERGENCY.